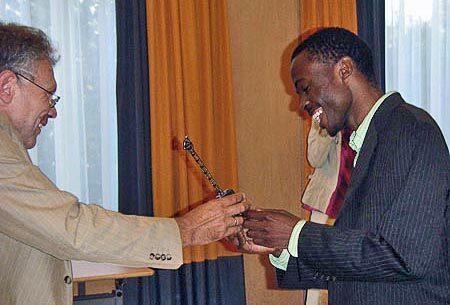 Amon Simutowe of Zambia who recently acquired a Bachelors degree from the University of Texas in Dallas – USA is the world’s newest Grand Master for the game of Chess. 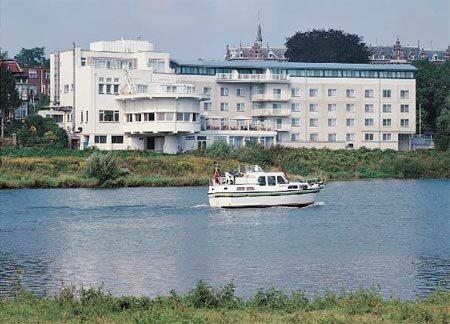 The event was being held in the Dutch four-star NH Rijnhotel, on the banks of the river Rhine in the town of Arnhem, which is famous for the John Frost Bridge, the site of inspiration for the book and film ‘A Bridge Too Far’ and the 1944 “Battle of Arnhem”. Perhaps the brightest star to rise on the African horizon in a long time Amon who was born on January 6, 1982 in Ndola, Zambia, has burst on the chess blazing a trail of tournament successes unprecedented for a player from the African continent. Having won his first tournament at 12, he went on to win the Zambian championship at age 14. According to news reports from Arnhem, the 25 year old Amon actually completed his final GM norm with a round to spare, after a dramatic eigth-round encounter with IM Helgi Dam Ziska of the Faroe Islands. Simutowe had 6.5/7 needed just a draw to fulfil the norm, having won all his games but one in the previous rounds. We at the Zambian Chronicle would like to take this opportunity to congratulate Amon for his great accomplishments and much for making the Zambian Enterprise proud … thanks a trillion.